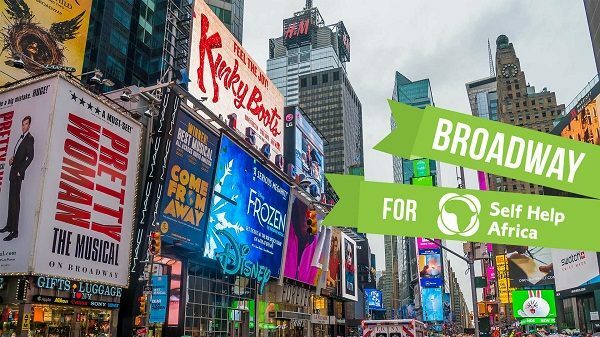 The sixth annual Broadway for Self Help Africa event will bring together some of Broadway’s biggest stars for a night of song and celebration benefiting Self Help Africa at The Cutting Room in New York City. All proceeds from the benefit will go directly to Self Help Africa, a non-profit with a pro-profit approach to rural Africa. Through nurturing entrepreneurship and providing economic opportunities, Self Help Africa helps to lift some of the poorest communities out of poverty. Over 30 years, the organization has provided nearly 2 million people with the opportunity to make a sustainable income through their own initiatives: A help up, not a hand-out. Matt Doyle – Book of Mormon, Heart of Rock & Roll, & more!